The current price is 59900 Euro. 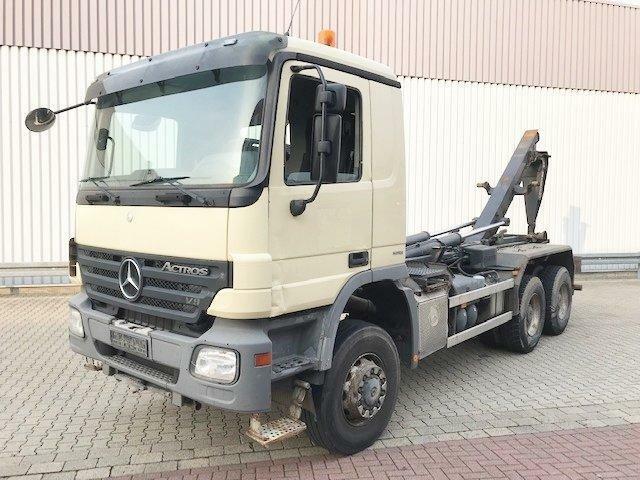 Our MERCEDES-BENZ Actros hook lift truck are available in a dealer's stock under your request. Engine/driveline: diesel, 510 hp, gearbox: automatic, power take-off. Chassis configuration: suspension: air, 6x6, wheel base: 3600 mm, ABS, EBS, ESP - electronic stability control, front tires: 35%, rear tires: 315/80R22.5, 35%, trailer coupling. Cab design: cab type: day cab, electric mirrors, central lock, air conditioner, cruise control, power steering, number of beds: 1 couchette, driver pneumatic seat, airbags. Transport dimensions: length – 7980, width – 2550, height – 3450.